It is time to take action again! It is time to take the destiny of our world in our own hands! We all agree that the process of reaching planetary peace is taking too long. Here is our chance to collectively speed up the process. Therefore we are using the opportunity of the Full Moon on April 11th to create a portal through which we will balance the energy field around the planet. Make this viral! Share it worldwide! Please post it on your websites and blogs. Invite spiritual groups to join us. If you know an alternative media outlet, you can send it to them. You can create a Facebook group for your local group of people doing this in your part of the world. Click here for the main Facebook group for this event. You can create a video about this and post it on Youtube. This meditation helps the Light forces to ground the energy of Light on the surface of the planet to strengthen the Light grid which is needed to speed up the process of reaching planetary peace. Number of people doing that meditation is the single most influential factor within the power of the surface human population for speeding up the process. We can reach the critical mass of 144,000 people doing this meditation! We will be doing this meditation at the exact moment of the Full Moon on Tuesday, April 11th at 08:08 am Central European Time (CEST). This equals 2:08 pm CST in Taipei, 8:08 am EET in Cairo, 8:08 am EET in Palmyra, 7:08 am BST in London, 2:08 am EDT in New York, 1:08 am CDT in Chicago, 0:08 am MDT in Denver and 11:08 pm PDT in Los Angeles on Monday, April 10th. 2. 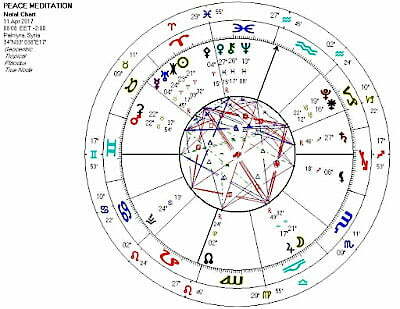 State your intent to use this meditation as a tool to speed up the process of bringing peace for planet Earth and its inhabitants. 4. 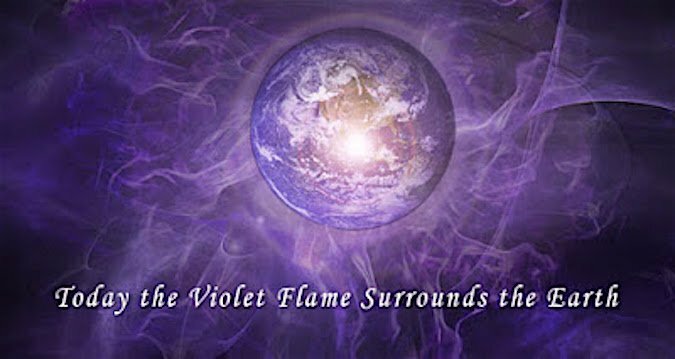 Now visualize a violet flame purifying the Syria vortex and its energy field on plasma, etheric and astral planes. Then visualize this violet flame expanding through all Middle East and purifying it. Then expand it even more until it encompasses the whole planet, purifying its energy field on the plasma, etheric and astral planes. 5. Now visualize a soft pink healing divine feminine energy, healing all people in Syria and bringing peace to the country. Visualize this soft pink light protecting Palmyra. Visualize this divine feminine energy healing the minds and hearts of all people worldwide involved in the Syria conflict. Then visualize this divine feminine energy expanding through all Middle East and healing all people there. Then expand it even more until it encompasses the whole planet, healing all living beings on the planet.